Whether they want to be an astronaut, or a scientist or a dancer, no career goal should be out of reach for our children. In recent visits to schools across the country, Vuyokazi Xapa, of Breakfasts For Better Days™, was shocked to realise just how many learners are struggling to dream about possibilities for their future. 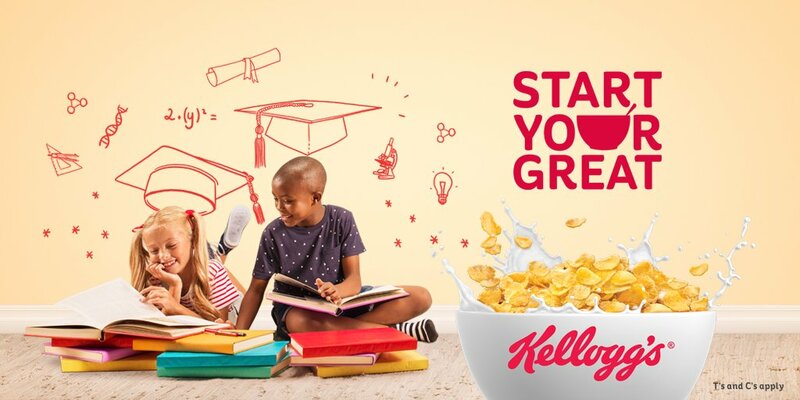 Although its breakfast scheme ensures children across the country are fueled and ready to learn, Kellogg’s has also identified the desperate need to engage learners into thinking positively about their futures. In an effort to motivate them, Kellogg’s Breakfasts For Better Days™ team has been visiting its beneficiary schools with messages of hope and encouragement. For learners who struggle to think past their boundaries, Vuyokazi and her team are aiming to encourage children to dream without limits. If you are looking for some top tips on where to start, Vuyokazi recommends parents and teachers to use the following key messages when motivating our future leaders. We must encourage our children to envisage their dreams – often – and to write down their thoughts, goals and wishes. These notes may not even make complete sense on the surface, but merely encouraging our children to actively nourish these thoughts will plant a seed of possibility. It is important your child knows that no dream is too big and they are not held back by the constraints of society. We must create a new empowering belief system that will harness their thoughts and develop them into real, personal goals. It is important to encourage children to think like entrepreneurs. This is facilitated through successful visualization – imagining their goals as though they were happening to them right now. We need to act as a village to raise our children and mentally shift them from benefiting from the system to owning the economic system. This can be started by ensuring healthy development, both physically and emotionally, creating a nation of future leaders. Healthy development, both physical and emotional, is an investment in South Africa’s future workforce, the capacity for the country to thrive economically and to create a society of thinkers and entrepreneurs. Laugh with them, cry with them, tell them your deepest fears and your biggest goals. It is important our children see that with the right amount of support and will, they can achieve anything they want to in life. It isn’t about spending the most money; it’s about investing the most time you possibly can in your child’s development stages and sharing each moment of fear and excitement with them. A balanced breakfast results in a noticeable difference in attendance, behaviour and academic results, and it also plays a role in mental alertness and agility. Many children still continue to struggle with translating their dreams and need to be encouraged to dream beyond the walls of the classroom. Even as academic performance improves we must work together to ensure that children are given all the tools they need to live in a world full of hope, where they can be themselves for as long as possible, while at the same time allowing them to explore the world of possibilities out there waiting for them. Since it began in 2014, the Kellogg’s initiative has served more than 13 million breakfasts to learners every school day at 43 schools across Gauteng, Kwa-Zulu Natal, the Eastern and Western Cape provinces. 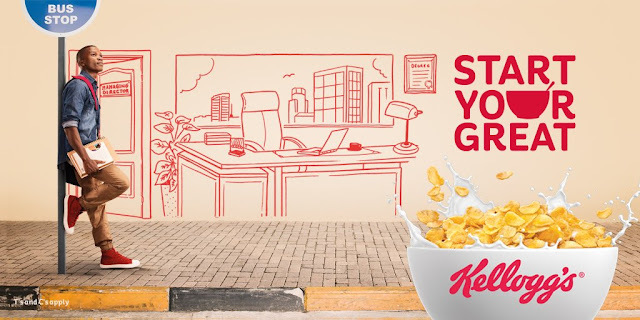 To learn more about Kellogg, visit the website: www.bfbd.co.za, Facebook: www.facebook.com/KelloggsSA or follow us on Twitter @KelloggsZA.